Thank you Avital. I have never worn out my eyes like I did in this one. i think it was the light colors of the materials. Wow!!!!! I’ve never worked on so fine a scale and never will. This piece is absolutely marvelous. You really are working a traditional piece in the traditional manner and close to the traditional scale. A truly impressive piece. And the design is also very very good. I’ve deliberately kept mine simple and much larger in scale. I didn’t think anyone in the world was working this kind of thing on this scale. You should post a message in the stitchinfingers “pulled and drawn thread” group with a link to these photos and your blog. There are a few of us there doing pulled thread and I think they would love to see this. love your website Lorelei! handmade lace!!! Could we have some detail photos of the pulled parts and the damask stitches? Thanks for the nice comments Lorelei! You will have to wait for new pictures of the Heiwa handkerchief. 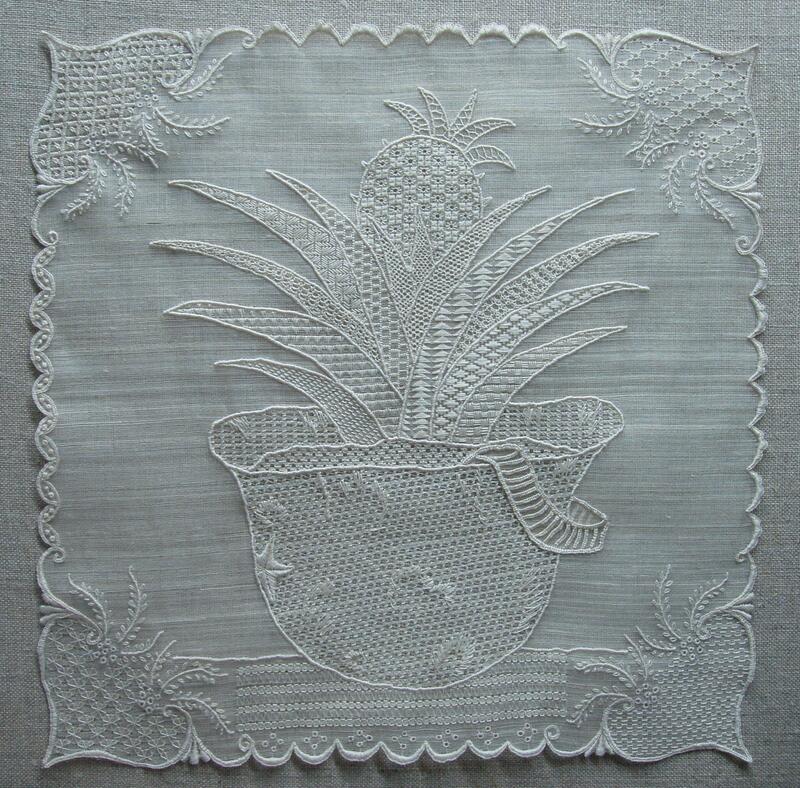 It is now in the hands of the Embroidery Guild for the competition and exhibit in March. obviously, you deserve a treat for such beautiful and fine work !!! Vincent, this is just wonderful. Superb. I hope it is highly placed in the competition. Thanks, Jane. It really depends on what kind of judges will be around for the competition. If they are the types who favor the impressionistic style, then the work will not be recognized. Good luck for the competition, Vincent! Such beautiful work you have!!! I had to write about your work today !!! Thank you for the comment and the write-up, meri! Your blog is so exciting, compared to mine. lol! Even if I do not win the competition, I have won the approval of the president of the guild, and she is so encouraging me to continue the peace series. I’ve got my fingers crossed for you, Vincent! The fine detail in this is absolutely amazing – stunning work, as usual! OMG, it is Mary Corbet commenting on my blog! Your blog is my daily bread, lol! I open my emails everyday and look forward to read your posts! You are an inspiration for all of us, for me you are a pioneer in blogging about embroidery, from books to news to projects. Thank you for sharing with us your passion! 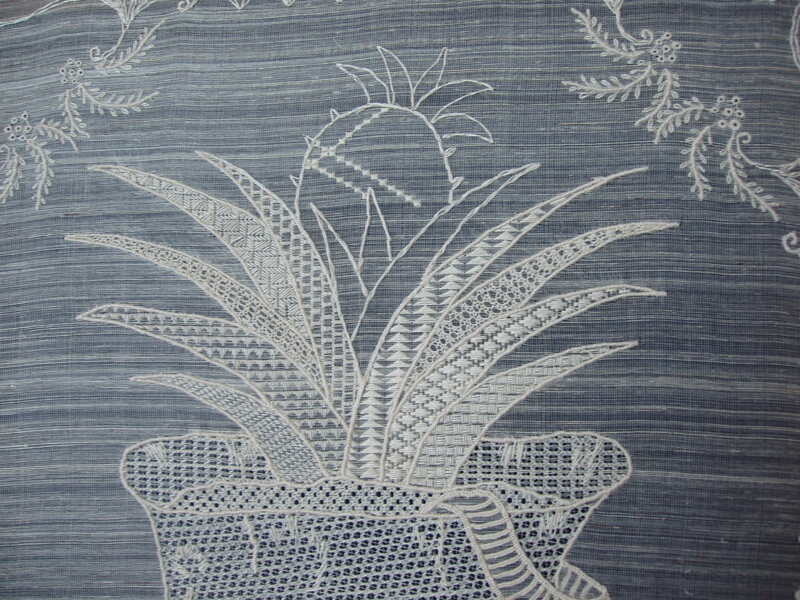 What beautifully detailed stitching. I fear I would go blind attempting something on this scale. Thank you for sharing this. You have to see it in person. 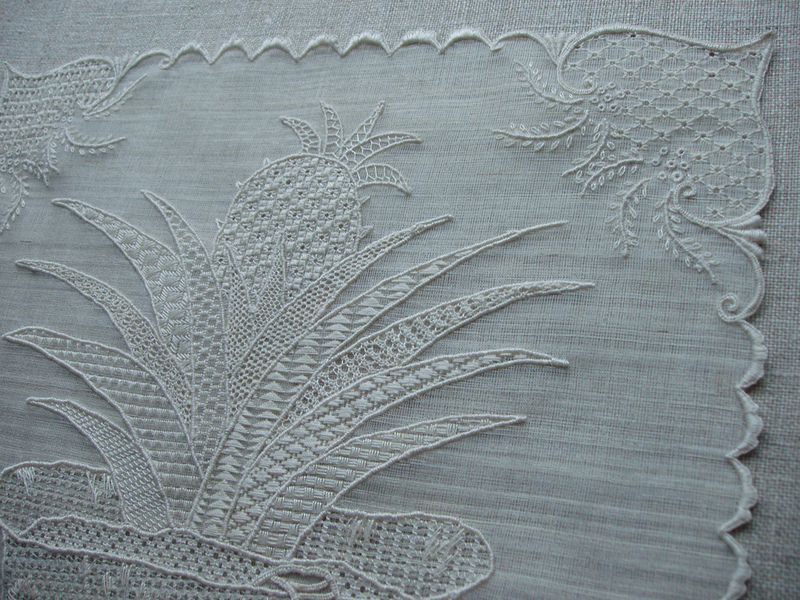 The silk warps are so fine, so it´s double silk warps to 1 pineapple fiber (weft). My eyes did suffer like never before. But when it was finished, I have never felt so good. lol! You are so so multi-talented! I’ve always loved your art with threads but I did not know you are so gifted. So proud of you! vincent, so nice to see your blog. inspired to have one, too. i have to correct email address you posted. it’s heritagearts_craft @yahoo.com it is underscore not dash. thanks, vincent. God blesss you. the piña legend is very interesting. fantastic work! please add an pinterest button to your site, this is just to good to not be shared! Thank you! okay, I will.